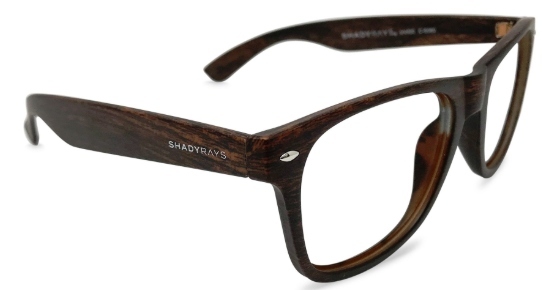 Shady Rays has one focus, which is to make the best shades for 24/7 action. 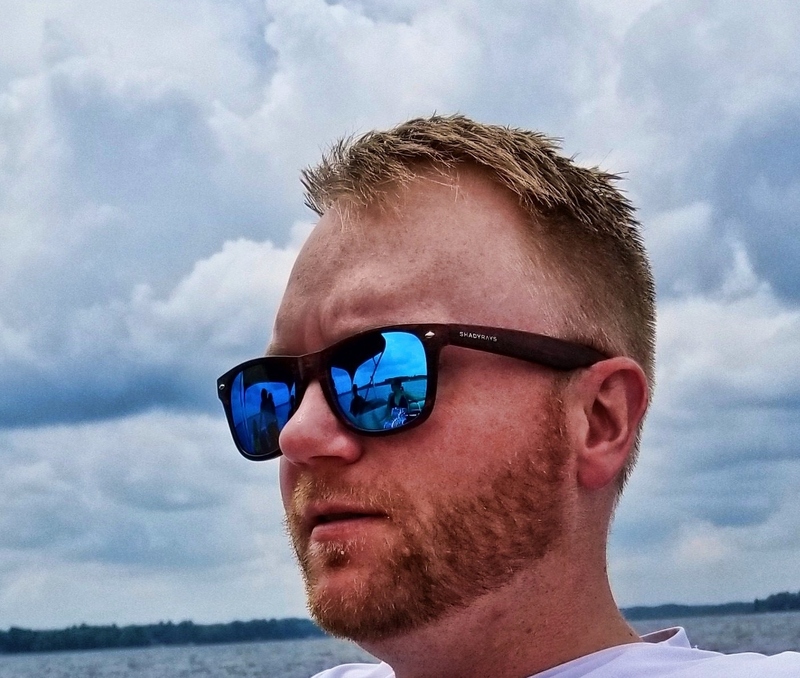 They tout themselves as an independent sun glass maker that produces shatter-resistant, high-visibility polarized lenses with durable construction that they stand behind with a Lifetime Craftsmanship Warrant. In addition, they make sunglasses that are heavy on the style and light on the wallet. Sunglasses are traditionally a sore spot for myself since I have a prescription. After a recent visit to my eye doctor for some new sunglasses, and by the time I added the polarized lenses, tinting, etc. $700 later, I’ve got new sunglasses. I have never been able to take advantage of cheaper non-prescription glasses since contacts don’t work for me. Years have been spent of over paying for sunglasses and dreading the day if I ever broke or lost them. We all know the horror of watching a pair of expensive sunglasses sink to the bottom of the lake or river. Determined to find a better way, we reached out to our friends at Shady Rays. They have expanded their Rx options and we tricked out a pair of their Classic Timber Frames for review. Shady Rays prides themselves on be a company for people who don’t want to buy from a massive, faceless company that has been operating the same way for decades. They are for action-seekers who appreciate next-generation, innovative gear meant for everything life throws at you. Their motto is “Live Hard. We Got You.” Taking their advice, we hit the road, mountains, and lakes for an all en-composing review session. How did they Shady Rays hold up? Read on for the full review break down! One of the best things about Shady Rays is your ability to build your own pair of sunglasses. You get to pick your frames, lenses and what you want to do the lenses. It allows you to customize to fit your style but also your budget and preferences. Your options for frames with prescription lenses are less than compared to regular frames, but there are still plenty of options. For this review, we choose the classic series Timber Frames from the prescription section. We went with the Ice Blue Mirror for lens color and with the poly carbonate lens material. Also, we had them polarized and included the anti-reflective coating. We did not go top of the line with all of our finishes that Shady Rays offer. For Lens material, you could go a cheaper route by getting CR-39 lenses or you could upgrade to the high-index 1.67 lenses. Also, on the lens type, we chose to polarize them but you can downgrade to clear or tinted lens. You could also upgrade to the photocromic lenses which makes the lenses clear on the side and darken when you walk outside. This would make them more of an everyday and all day type of glasses. If you go the photocromic way you can only choose a grey or brown for your color. As we mentioned earlier, Shady Rays does an excellent job of you letting you build the glasses your way with your preferences. You can get the most expensive pair or you can customize to fit your budget and needs. Shady Rays offers 12 different frame styles from classic black frames to ice frames and even aviators. Most style options are covered. You can determine your style and then customize from there. The best part is that the glasses are affordable so you can have multiple styles on hand to fit your different sun glass needs. As I already mentioned we went with the classic timber frame. The Timber features a premium matte deep wood classic frame. The ice blue mirror poly carbonate lenses are proven to have superior impact resistance. They are also up to the times more impact resistant than plastic lenses. In addition, they are extremely light weight which takes a lot of pressure off of the bridge and allows you to have all day comfort and style. Shady Rays are built to look amazing and feel amazing.  You are sure to get compliments on your designs and have people wondering where you got them. When it comes to regular sunglasses reviews, the optics are always important. With prescription sunglasses the optics are the most important. This part was my biggest fear of going to an online company for sunglasses. While over charging me, my eye doctor did always nail the prescription part. After finally wrestling my prescription away from my doctor, I uploaded it the site and sent the glasses off for ordering. When they arrived I was blown away at the clarity and crispness of the lenses. After being on the lake all day, sometimes the brightness and reflection can start to hurt your eyes. With the polarized lenses and the anti-reflective coating, this was not an issue at all. 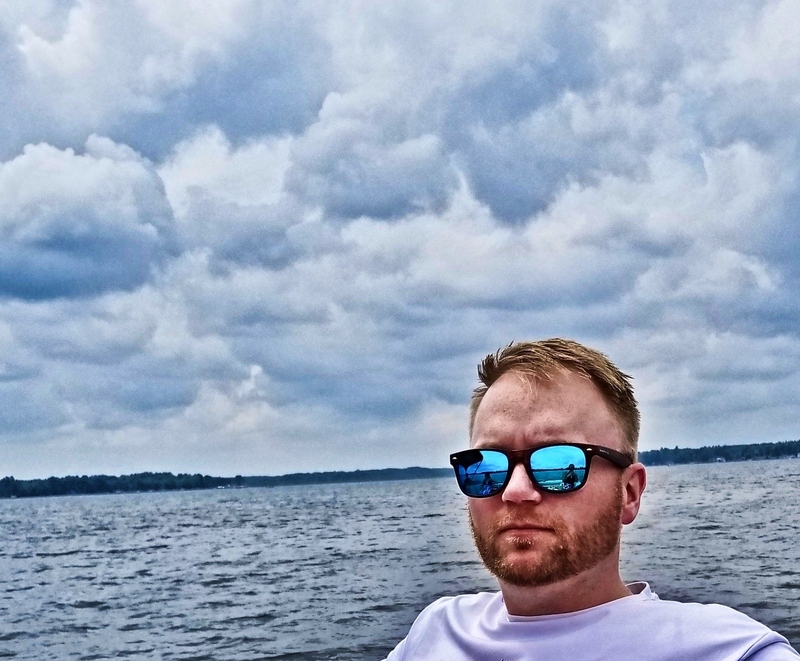 I was able to be out all day on the lake and boat with no issues or soreness. The polarizing keeps the sun glare down but does not darken the images too much that you can’t see things. The Shady Rays really produce great images through the lenses. With the options we picked out, the sunglasses came out to $206. This is incredible for a pair of high quality prescription sunglasses. If you went with lower options you could be out the door for $103. You can max out at about $283 for single vision prescriptions or $390 if you have a progressive prescription. No matter which route you choose, you are definitely saving money than if you went to the eye doctor. Many people have Flexible Spending Account (FSA) or a Health Savings Account (HSA) through their employers. These accounts are both great healthcare options that reduce can reduce an employee’s income tax liability and let them pay for medically related expenses through these accounts. Prescription sunglasses are covered under both FSA and HSA plans. Many of these accounts come with a debit card so you can use that to pay for these sunglasses. By using a pre-tax account to pay for the sunglasses you are increasing the value of these even more. If you have more questions on how this works, ask them in the comment section and I would be glad to explain more!